Comedy from the heart of the Edinburgh Fringe. Live stand-up, interviews, music, features, dirty gossip and more from the Pleasance Courtyard and Pleasance Dome. This Rebranded and relaunched Pleasance Comedy Podcast is a daily show with clips from live 2017 shows. We want you to come down and soak up the atmosphere, and this magazine style show will let you feel like you're already here. Now in it's seventh year, this isn't an hour long conversation with one comedian. This is fast paced, cram them in, when's the next show, can you get us tickets for this, who's hot, who said what, what do you mean it's only day four??? That's a difference, not a dig Dr Buckles. Previous guests include everyone from Josh Widdecombe to Cariad Lloyd, Reginald D. Hunter to Sara Pascoe, Eddie Izzard to Trevor Noah, Lucy Porter and Ed Byrne to Susan Calman and Jonathan Pie to Tom Allen and Mark Watson. Plus names you don't know. That's the point. You'll love it. 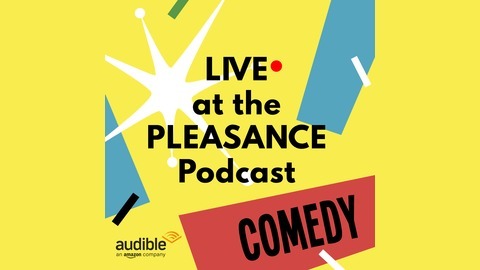 Brought to you in association with Audible.co.uk/laughs Back catalogue available at https://soundcloud.com/thepleasance Presented by a clown with great hair and, thankfully, a proper radio producer. It’s the final episode of Live at the Pleasance for 2017. What a month it’s been! It’s all gone so fast! Can you believe it?! Etc. etc. This year we celebrated 70 years of the Edinburgh Fringe Festival and 33 years of the Pleasance in real style. We’ve talked to everyone from the freshest newly-hatched comedy chicks and the most seasoned Fringe leg(hen)ds (…ok we’re all tired right?) 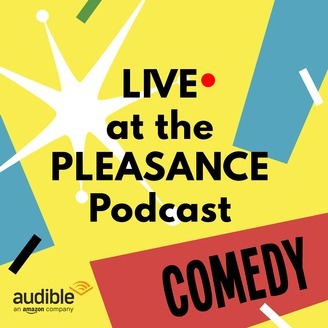 This episode features some of the best bits of Live at the Pleasance - are you ready for an onslaught of names? You’re going to hear chat from Rhys James, Kae Kurd, Pierre Novellie, Rose Matafeo, Terry Alderton, Kiri Pritchard-McLean, Ross & Josh, Alisdair Beckett-King and Catriona Knox and live comedy from Dane Baptiste, John Robins, Kwame Asante, Andy Field and Pippa Evans. Grab yourself a cup of sweet tea and a packet of Tunnock’s teacakes, sit back and marvel at all these funny genius minds at play. Oh and Al and Maddie are there too. See you in 2018!